Helic, D., Krottmaier, H., Maurer, H. & Scerbakov, N. (2005). Enabling Project-Based Learning in WBT Systems. 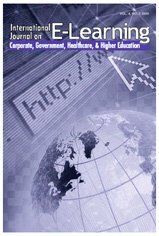 International Journal on E-Learning, 4 (4), 445-461. Norfolk, VA: Association for the Advancement of Computing in Education (AACE). Retrieved April 19, 2019 from https://www.learntechlib.org/primary/p/5421/.